Amazon Prime Members – Get 20% off video games! 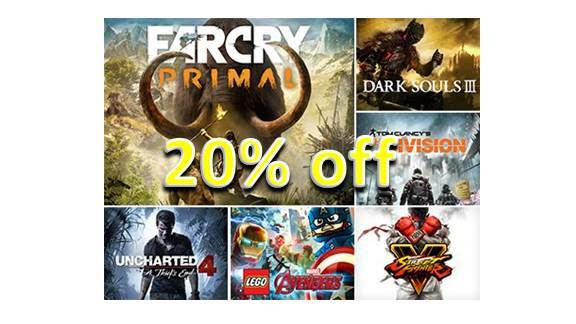 You are at:Home»BUZZ»Amazon Prime Members – Get 20% off video games! Joining Best Buy Gamers Club Unlocked, Amazon Prime members now can get 20% pre-order and newly released video games! If you are already an Amazon Prime member and a gamer, this added benefit does not cost you extra. The extra 20% off applies to pre-order games as well as newly released video games, you will receive the discount even after two weeks after the release date. The discount applies to Xbox One, Playstation 4, Nintendo Wii U and Nintendo 3DS games. The pricing will be reflected upon checkout. You can visit Amazon for a full list. In addition there is an Amazon Price Guaranty, which basically means you get the lowest price when you pre-order a game. For example, you pre-order a game 1/14 and the game receives a discount on 1/16, you will receive the price on 1/16 (+ 20% off). If you’re already an Amazon Prime member – this is a great bonus. However, if you’re not, Best Buy Gamers Club Unlocked is a $30 2-year membership, you will have to activate the membership at a local store, though you will get the discount when you shop online afterwards. What do you think? Best Buy? GameStop or Amazon for new games? Tweet us @AsianGeekSquad.